Before I begin, let me say that I was as thrilled as anyone with the result in Massachusetts. However, let’s evaluate why that is: it was a repudiation of Obama, of Obamacare, and the overall Democratic agenda as well as their maneuvering in trying to further that agenda. Now, I know there’s wide debate about whether or not this was all about Health Care and Obama, or about whether or not this was because Coakley ran a horrible campaign, or whether this was a bout local issues. I think everyone is lying if they claim to know exactly how much of each contributed to the final result. Clearly, all those things, if not the sole reason for the Brown win, contributed in some way, or at least helped people solidify the vote they planned on casting. Give credit to Brown, who ran a smart campaign. But let’s also not ignore something very important: Brown took conservative positions on the few issues that were of immediate and highlighted importance. He did this in Massachusetts, and he won. You can make all sorts of excuses on all kinds of levels, but that in itself is pretty amazing. But let’s face it: from my view, this was really less about Brown than it was about vote #41 in the Senate. It was less about Brown than it was Obama and Health Care, and Cap and Trade, and other things that were slated for 2010. Brown happens to be the guy who was elected to give us that 41st vote, and that’s great. But before we get too carried away and try to canonize the guy, let’s take a closer look at him and celebrate his strengths and recognize his weaknesses. Let’s just be honest about who he is and what we should expect. I believe that all Americans deserve health care coverage, but I am opposed to the health care legislation that is under consideration in Congress and will vote against it. It will raise taxes, increase government spending and lower the quality of care, especially for elders on Medicare. I support strengthening the existing private market system with policies that will drive down costs and make it easier for people to purchase affordable insurance. In Massachusetts, I support the 2006 healthcare law that was successful in expanding coverage, but I also recognize that the state must now turn its attention to controlling costs. This is actually interesting to me. Of all the issues, most would agree that this is the one that had the greatest impact on the outcome of the election. He came right out and said he would be the 41st vote against Health Care. It’s clear that everyone believes him, since even Pelosi admits she doesn’t have the votes to pass the Senate version in the House, which has made them realize more and more that Health Care Reform is either dead, or will be scaled back substantially. But his actual words on this aren’t that of a guy who is against some sort of Health Care Reform, and he voted for the 2006 Massachusetts system. He doesn’t specifically highlight specific ideology on what kind of reform he supports, other than general positive ideas of lower costs in a private market. Is he for tort reform? Is he in favor of opening up competition across state borders? Is he for reducing government-mandated provisions in health care plans so that companies can offer lower-coverage/lower-cost options? I don’t know. Perhaps he has stated his positions on some of these things, but they are not outlined here. So, it’s great that he is against a public option, but there is a little concern on my part on what exactly it is he may support down the line. I am a free enterprise advocate who believes that lower taxes can encourage economic growth. Raising taxes stifles growth, weakens the economy and puts more people out of work. Our economy works best when individuals have more of their income to spend, and businesses have money to invest and add jobs. I have been a fiscal watchdog in the state legislature fighting bigger government, higher taxes and wasteful spending. This is pretty cookie-cutter stuff, and even moderates/liberals tend to paint themselves in these terms to some extent. So, hopefully he really means this and lives by it. If he does, this is a strong positive. I support common-sense environment policy that will help to reduce pollution and preserve our precious open spaces. I realize that without action now, future generations will be left to clean up the mess we leave. In order to reduce our dependence on foreign oil, I support reasonable and appropriate development of alternative energy sources such as wind, solar, nuclear, geothermal and improved hydroelectric facilities. I oppose a national cap and trade program because of the higher costs that families and businesses would incur. I don’t have a real problem with anything written here. I particularly am thrilled that he opposes Cap and Trade. I have no issues at all with continuing research and development of alternative energies, and I like the fact that he focuses his environmental position on actual pollution. My concerns are what has not been said. By “pollution,” does he mean Carbon Dioxide? While opposing Cap and Trade, would he support other measures to “combat global warming/climate change?” That isn’t clear. Also, while I respect his willingness to further alternative energy, does he support utilizing our own fossil fuel resources? Tapping our oil and coal reserves? What about expansion of nuclear energy? All this is left unsaid, which concerns me. I am passionate about improving the quality of our public schools. Accountability and high standards are paramount. I support choice through charter schools, as well as the MCAS exam as a graduation requirement. I have worked to ensure that all children have access to a quality education. I am a strong advocate for the METCO program, which provides lower income students with broader educational opportunities. Since it’s well beyond the realm of possibility to expect a privatization of all education any time soon, I don’t have an issue with what I read here. I am particularly happy that he stated that he favors choice. Even if we insist on publicly funding all education, if we can allow competition through choice and vouchers (he didn’t say vouchers, but I have to assume the two go hand-in-hand) we will have a much stronger system. I recognize that our strength as a nation is built on the immigrant experience in America. I welcome legal immigration to this country. However, we are also a nation of laws and government should not adopt policies that encourage illegal immigration. Providing driver’s licenses and in-state tuition to illegal immigrant families will act as a magnet in drawing more people here in violation of the law and it will impose new costs on taxpayers. I oppose amnesty, and I believe we ought to strengthen our border enforcement and institute an employment verification system with penalties for companies that hire illegal immigrants. This is actually fairly strong language. It’s not particularly solution-oriented, but it does show some backbone. And I agree. I am not stone-hearted on this issue, but I think priority number one is to stop the inflow. He doesn’t specifically mention the wall along the border, but whether strong border enforcement means support for guards, more sections of barrier, and enforcement of penalties against companies hiring illegals, we need to first find a way to plug the hole. We need to balance the need for human dignity and protection of our society and costs. This is not a cut and dried issue, and no matter what actions we take it will not be pretty. It takes backbone, and I see a little bit of that here with these words. As a Lieutenant Colonel in the Army National Guard, I am uniquely aware of the importance and sacrifice of our men and women serving in the military. I have been a vigorous supporter of legislation providing benefits to returning service members, as well as, benefits for the families of those killed in action. I believe we need to recognize the sacrifice of all of our servicemembers by keeping better track of returning military personnel so they get the services they deserve. That includes providing them with first-class medical care and other benefits to which they are entitled. I am known as a leader on veterans’ issues through my work on the Veterans and Federal Affairs Committee, the Hidden Wounds of War Commission, and the Governor’s Task Force on Returning Veterans. Very strong in this area. I support the Second Amendment and believe that citizens have the right to keep and bear arms as a basic constitutional liberty. I support safe and responsible gun ownership. I believe there are some crimes that are so heinous that they deserve capital punishment. Our Government should have the ability to impose the death penalty in cases where it is justified. This is fairly vague, but since he doesn’t repudiate the Death Penalty, it generally fits the conservative position. It may surprise some of you to know that I am actually generally not in favor of the Death Penalty. I’m not universally opposed, but my acceptance is a very limited and narrow one. While this decision should ultimately be made by the woman in consultation with her doctor, I believe we need to reduce the number of abortions in America. I believe government has the responsibility to regulate in this area and I support parental consent and notification requirements and I oppose partial birth abortion. I also believe there are people of good will on both sides of the issue and we ought to work together to support and promote adoption as an alternative to abortion. While I am happy to see him take a position against the particularly heinous partial-birth procedure, and also happy that he supports notification and consent laws, the rest of this is pretty wishy-washy stuff. If I had to guess, he will not be among the strongest pro-life Senators, and for me this is a big issue. For some of you, not so much. So, this is probably my largest area of disappointment. I believe marriage is between a man and a woman. States should be free to make their own laws in this area, so long as they reflect the people’s will as expressed through them directly, or as expressed through their elected representatives. Generally speaking, this is good. I’m pretty sure it implies that the decision should not be made by judicial fiat. I’d prefer for him to go further and defend the Defense of Marriage Act, but all in all it sounds like he won’t be supporting a radical pro-gay-rights agenda. Israel has made enormous sacrifices in an attempt to secure peace – including unilateral withdrawal from Gaza. I support a two-state solution that reaffirms Israel’s right to exist and provides the Palestinians with a place of their own where both sides can live in peace and security. As our closest ally in the Middle East, Israel lives every day under the threat of terror yet shares with America a dedication to democratic ideals, a respect for faith, and a commitment to peace in the region. Until a lasting peace is achieved, I support the security barrier erected by Israel which has proven successful in protecting Israeli civilians from terrorist attacks. Scratching my head on this one. In favor of a two-state soluition for Israel? I flat out don’t agree with this. At the very least, I don’t agree with the United States attempting to impose this solution. If Israel and Palestine mutually agree on that solution, then fine. But until then, Israel currently exists and has borders. If someone said the U.S. should give Texas to Mexico, or that we should give California to illegal immigrants as a two-state solution… hey, wait a minute… maybe that isn’t a bad idea. I support the bi-partisan Iran sanctions bill and believe that until Ahmadinejad gives up his nuclear ambitions he should be isolated from the rest of the world. With its reckless pursuit of nuclear weapons, Iran represents the biggest threat to Israel. Ahmadinejad is a Holocaust denier who has threatened to wipe Israel off the map. Meeting with him confers legitimacy when the only correct response is to treat him as an outcast. A personal meeting with Ahmadinejad, as suggested by my opponent, would embolden him and be used as a propaganda tool to strengthen his position. Good. No words on whether or not we should just annihilate Iran, but I guess I can understand why that isn’t the most politically astute approach. Conclusion: B or B+ in my book. There are definite questions, and definite concerns. There are areas of good stature and things that encourage me. You may well disagree with some of my takes on the issues and how I read his words. You may have better information that helps flesh out his positions. That’s all good. The intent here is not to suggest agreement with me, it’s to suggest that we all take an honest look at the guy. This is not at all intended to temper enthusiasm over his victory. There are many, many reasons to be excited about this. There are many reasons to believe it provides some hope for a moderation in liberal policy – forced or not. There is hope that the upcoming election brings us good and bold candidates, unafraid to espouse conservatism. Candidates who are Republicans not because they represent what the Party does, but who are Republican because they present to the Party how it should be. Candidates who will not make the same mistakes of hypocritical government spending and straying from conservative principles. It’s one thing to be a moderate if you run as a moderate. It’s another to give lip-service to fiscal responsibility and then engage in pork-barrel politics. Now, in closing, let’s also be willing to admit that our Republican leaders are not perfect. It’s OK to laugh at them when appropriate, and to poke a little fun at them when it’s called for. Can we really ignore the fact that Mr. Brown ever did this? “And just in case anyone who’s watching throughout the country they’re both available. No, no. No. Only kidding, only kidding. Only kidding, only kidding. Arianna… Arianna’s, definitely not available. But Ayla is. This is Arianna. This is Ayla. I can see I’m going to get in trouble when I get home. 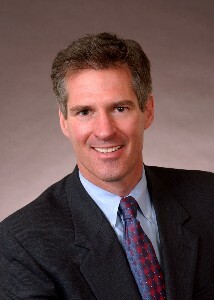 And please… can we nip any talk about Scott Brown for President now, already? Let’s at least see the guy perform in the Senate for a while before going there. OK, he’s not perfect. But he’s taken us on a fun ride the last week or so, and for that we thank you, Mr. Brown. Good luck in Washington. One can’t hardly host a political blog without some comment about last night’s stunning upset in Massachusetts. There is such a plethora of information and opinions out there that there really isn’t a whole lot more to be said, I suppose.